1. Chassis Number. 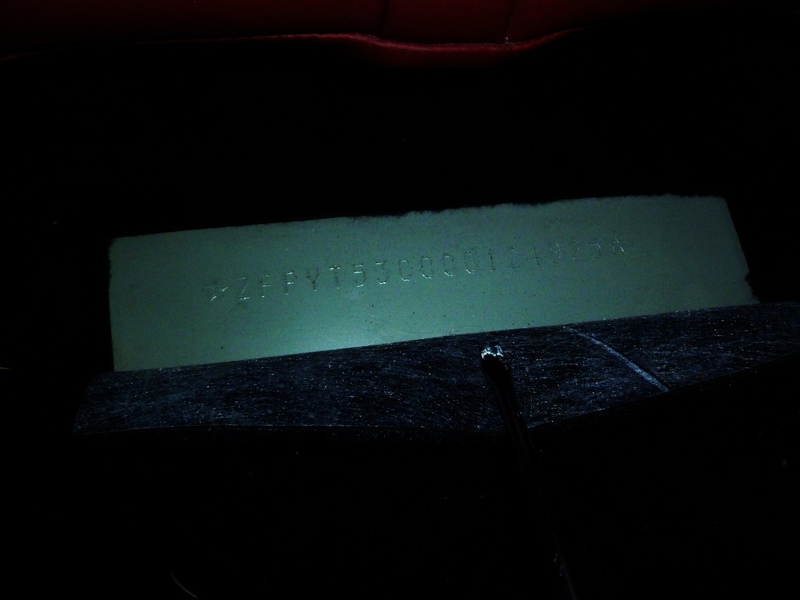 This is stamped into the floor pan behind the driver seat (lift the carpet to access). 2. Chassis Number. This one is on a plate affixed to the steering wheel cowl. The number has some interesting information buried in the letters and numbers…. The first digit is “Z” denoting country of manufacture as Italy. 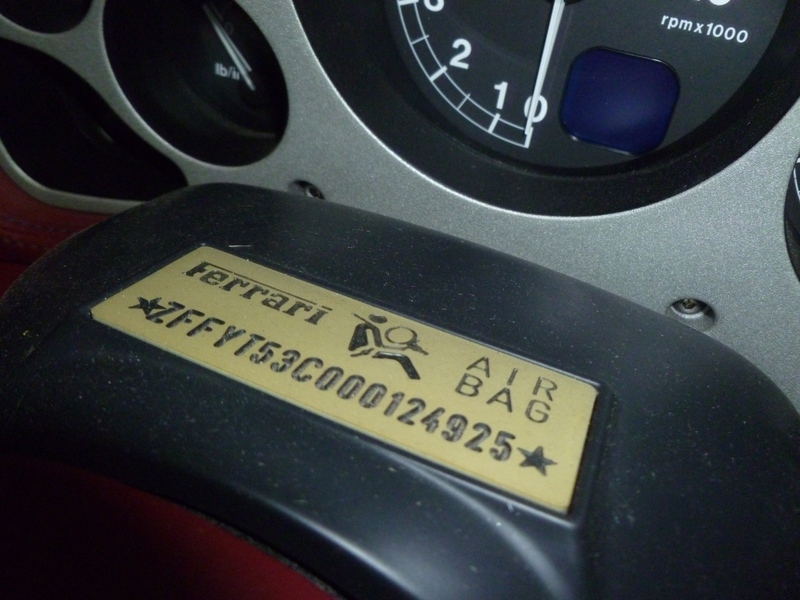 The second and third digits, “F”, denote the badge and manufacturer as Ferrari. 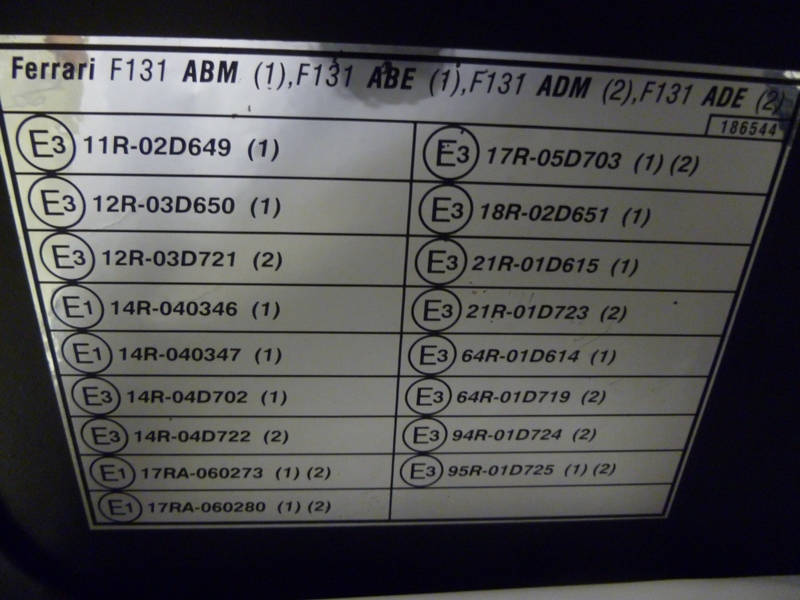 The fourth digit denotes the engine type, “Y” for the 360’s F131 engine. The fifth digit denotes the safety equipment fitted (here “T” means air bags and manual seat belts with pre-tensioners are fitted). The sixth and seven numbers denote the model type (this car is “53” for 360 Spider, the Modena is “51” and Stradale “57”). The eight digit is the market the car was originally manufactured for (“C” here means UK RHD). The tenth digit denotes model year for USA cars only. 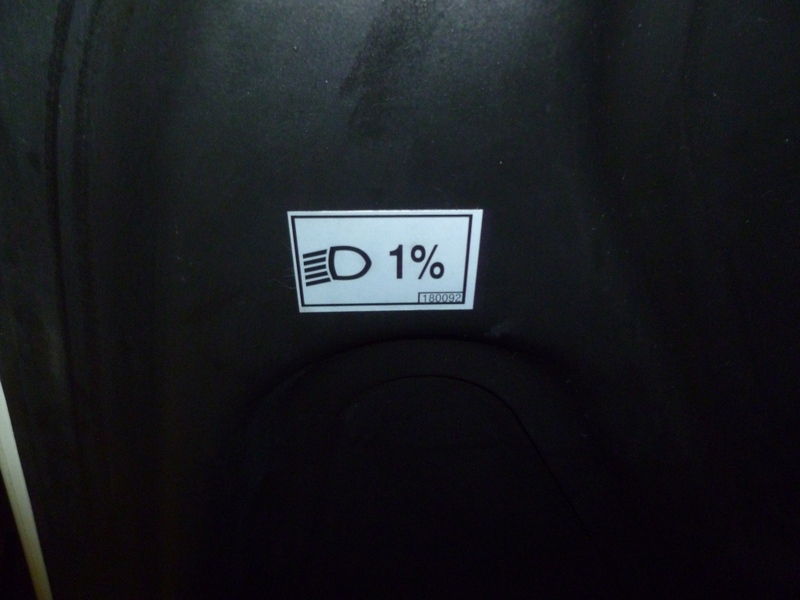 The eleventh digit denotes the factory the car was made in (Ferrari only have one factory so all cars are “0”). 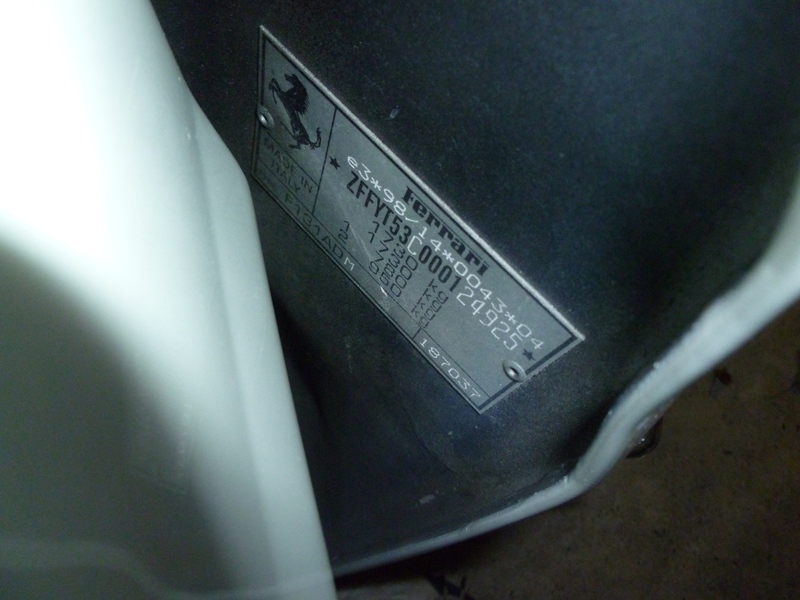 The last six digits are the unique chassis number for the car. Up until number 75000 only odd chassis numbers were issued by Ferrari, where after both odd and even numbers were used. 3. Engine Number. This is stamped into the engine block next to the oil filter (and is quite difficult to get a photo of). 4. Assembly Number. This is on a plate on the rear frame of the car, between the rear panel/grill and exhaust silencer. The assembly number is crucial when determining what part will correctly fit your car. 5. Chassis Number. This plate is fixed to the front wing behind the drivers door. It also contains the maximum rated weight (1730 kg) as well as the split between front and rear (780 kg & 950 kg respectively). 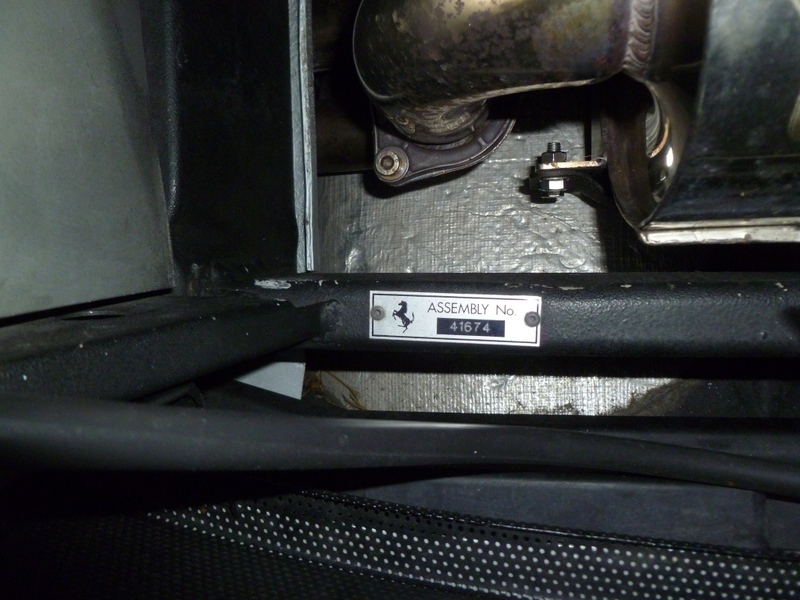 The engine type is also shown – F131 (131 bhp per litre power to displacement ratio). The E3 and E1 markings denote that the part was approved in Italy and Germany respectively. 7. Headlight Approval. Also found inside the front hood. 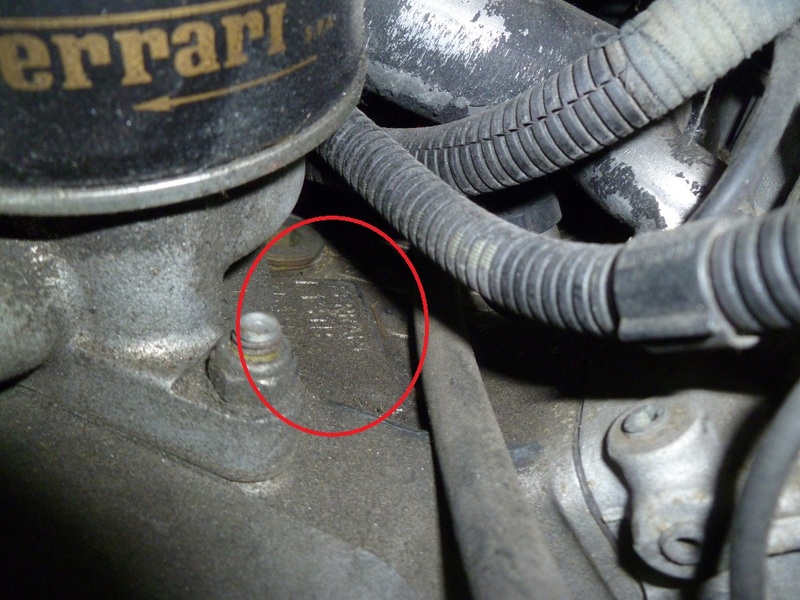 When I start my 1999 modena with 22,000 miles….I get a few minutes of very light whitish smoke..almost looks like cold air condensation…but its smoke….as it idles, it seems to get lighter…I removed a qt of oil thinking maybe I overfilled it when I had that oil dipstick issue. Smoke still there. Any thoughts? White smoke/steam doesn’t sound like oil burning. Does it stop when hot? How do you know its definitely smoke? Its hard to say for sure over the internet! It looks like smoke…but when its in my garage, it does not fill up the air…I see the muffler tips have like condensation that appears then quiclky evaporates..
Reading your post i also have had a similar experience. The car will sometimes white smoke at start up. in fact on one occasion there was clouds of it. Def not condensation. I too disconnected the plugs to the exhausts and thats when the smoking started. I then re connected the plugs and the smoking reduced/almost stopped. This could be coincidence. I spoke to Vic at migliore cars and he was not overly worried and said it could be a spot of oil in the Plenum covers – he has seen it before and said that a intake manifold strip down/clean and gasket replace normally sorts it. This was an over the phone diagnosis, but it made sense. What might be worth doing is get someone to video the car at startup and post it up in a forum or send it to an indie for their view. Let me know if you find anything out.